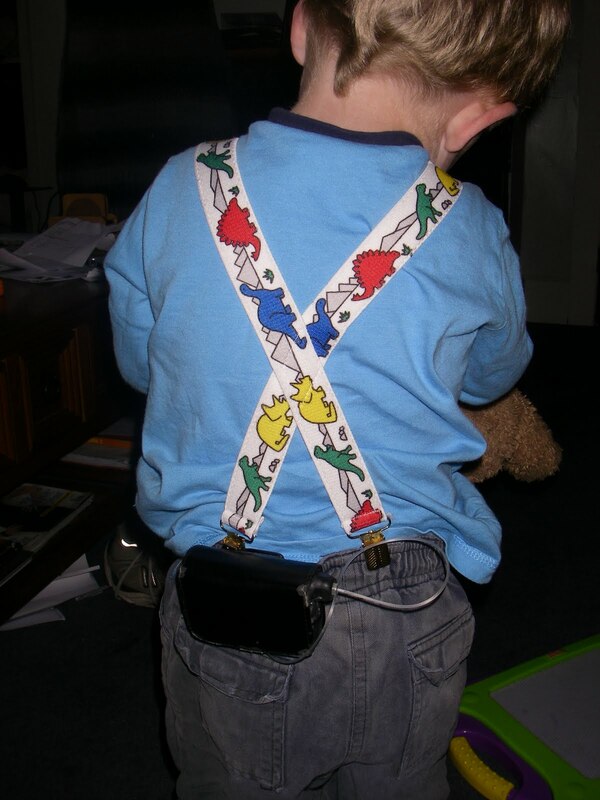 Two Organs Short: How Many Dinosaurs To Carry An Insulin Pump? Finlay has always been a bit difficult to dress. He is still very small for his age and has never had the puppy fat you expect in a young child. 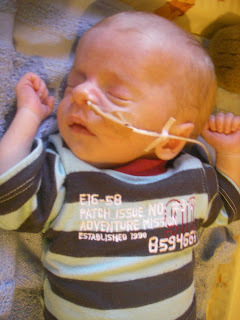 When he first left hospital at 2 months old we found it really hard to get anything to fit him. Luckily we found the Pumpkin Patch range of clothes for teddy bears fitted perfectly!! Now the main problem is keeping his pants up. All those that are long enough for him seem to be made for kids twice as fat. 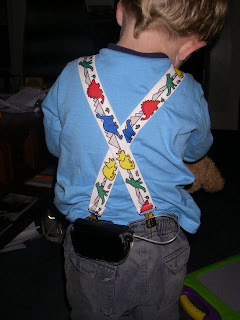 Then we hook his pump onto the belt and five minutes later he's wearing them round his ankles. I realise that the fashion of today might be to wear your pants ridiculously low, and maybe the local teenagers think he's the coolest 3yo in the neighbourhood but it's just plain wrong. So thanks to one of the parents at his brothers' school we now have a cool set of braces...with dinosaurs on!! He seems to like them. Not sure what he'll think when he looks back in a few years but it's saving our blushes for just now. How many dinosaurs does it take to hold up an insulin pump? those braces are adorable! OMG the teddy bear range! reading your blog makes me appreciate just how unique everyones experiences with life and parenting really are.